Employees in all lines of work are entitled to protection while on the clock. 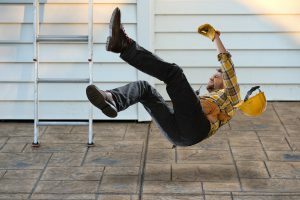 Getting injured on the job is a serious matter and there are laws in place to ensure workers get the compensation they deserve. The Law Office of William H. Harding is committed to representing those who have been injured and qualify for workers compensation. Many companies will attempt to dissuade their employees from collecting workers compensation benefits. Some companies will even put up a fight in a court of law, which is why it is an advantage to hire a workers’ compensation attorney. The Law Office of William H. Harding assists injured employees in a variety of areas. The result of an injury can lead to high medical bills and costly fees for physical therapy. The sad reality is that many insurance companies will refuse to pay those bills. Some will question your doctor’s recommendations for recovery while others might send you to a variety of doctors in hopes that one will not recommend treatment. There are even companies that try to send you to their own doctor, who will not recommend treatment. When any of these occur, contact the Law Office of William H. Harding and we will start to work for you. There are different nuances that come with how much workers can be paid when they are injured on the job. Insurance companies frequently try to take advantage of workers who are unaware of their rights in regard to worker compensation laws. We take the time to fight for clients so that they are adequately compensated for any work time they may have missed. Those who were forced out of work because of an injury sustained on the job may be entitled to claim their lost wages. Explaining all the details of your rights is our top priority at the Law Office of William H. Harding. We can go back and calculate just how much money you are owed and that may also include pain and suffering. There are a number of worker compensation cases that involve all different types of injuries. We represent clients who have experienced many different injuries and here is a look at some of the reasons that led to those injuries.